Photo: Courtesy of Burt's Bees. 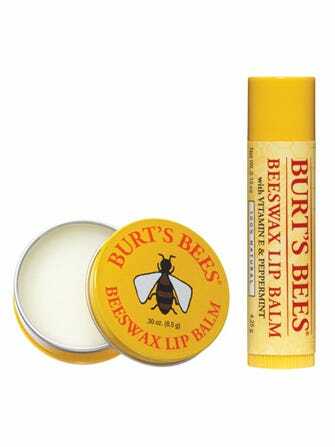 All of the cool kids are doing it: Time has reported that, apparently, teenagers are applying Burt's Bees lip balm to their eyelids — because nothing says Friday-night fun like an eyeball full of peppermint oil, right? Kids are using the tingling sensation to heighten the feeling of being already drunk or high. But, they're also using it to "remain alert," because apparently, teenage boredom did not die with the advent of 24-7 Internet madness. The trend reportedly originated after a "comedian musician" posted a parody video about getting high off of putting the lip balm on his eyelids. Teenagers apparently followed suit, posting additional videos of them trying the trend out themselves. These poor kids apparently think that "Beezin'" is safe, because Burt's products are 100% natural. However, peppermint oil is a very potent ingredient — and, while it certainly won't cause blindness, it may cause serious irritation to the delicate eye area. Parents nationwide are being asked to monitor their teens' behavior to make sure they don't fall victim to the dangers of Beezin'. As the intrepid reporters at Fox25 helpfully pointed out in an on-air segment: "As we've seen in the past, viral trends can be deadly."